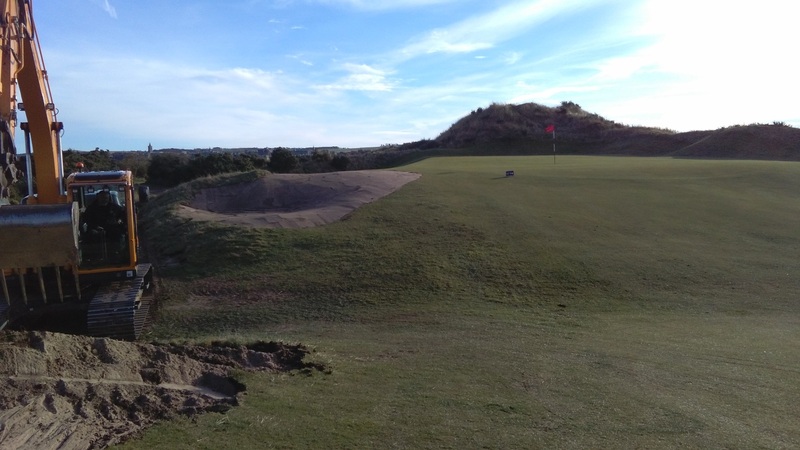 Our busy winter maintenance programme continues with work currently taking place on the 4th and 15th holes of the Jubilee Course. The holes run very closely alongside one another with the 15th representing a fantastic example of a short par 4 that can be very tricky to play. 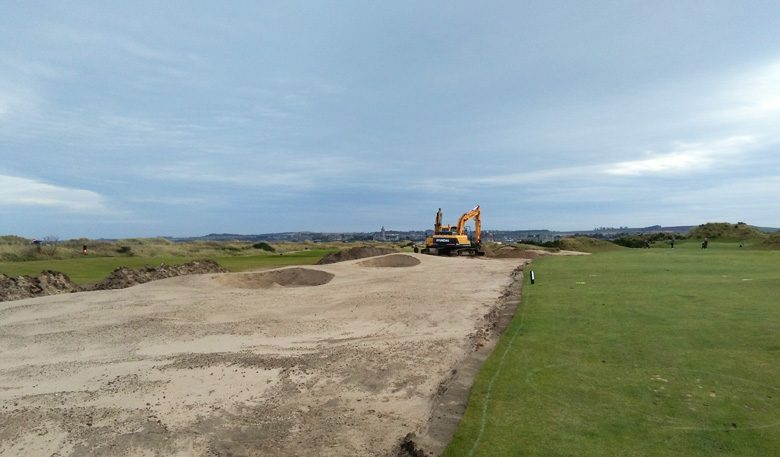 Dunes encroach onto the fairway and narrow the hole the further you drive. You must be pinpoint accurate on the left hand side to leave yourself with a straightforward approach. 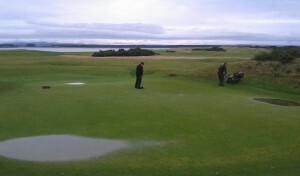 The green is also very small with a large, punishing valley at the front which swallows up anything hit short. So why change? 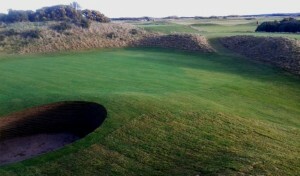 The motivation to alter these holes comes from the fact that because they run so closely side by side there is little to define the ground between them. 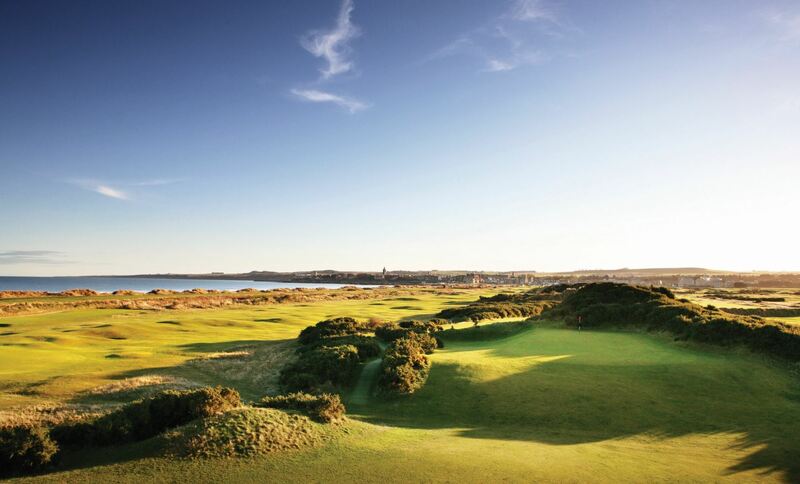 Currently, players can dangerously opt to play down the 4th fairway from the 15th tee which allows a routine shot into the green. 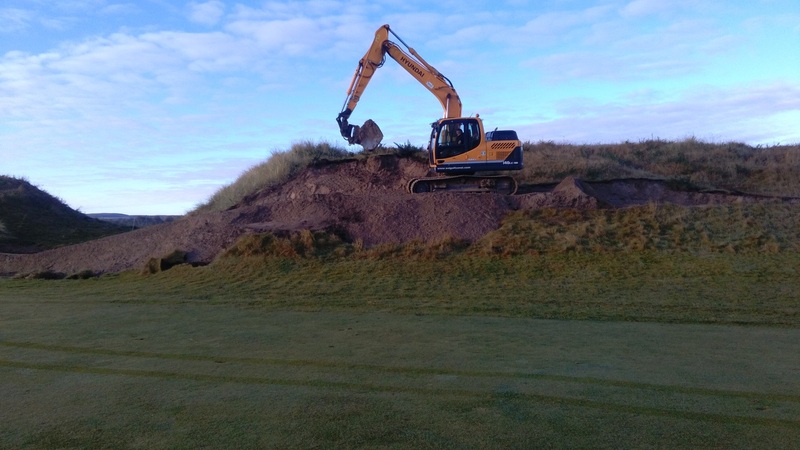 Construction firm, SOL Golf, who recently helped us with natural dune screening on the course, carried out the works alongside our greenkeeping team. Work has progressed very well. 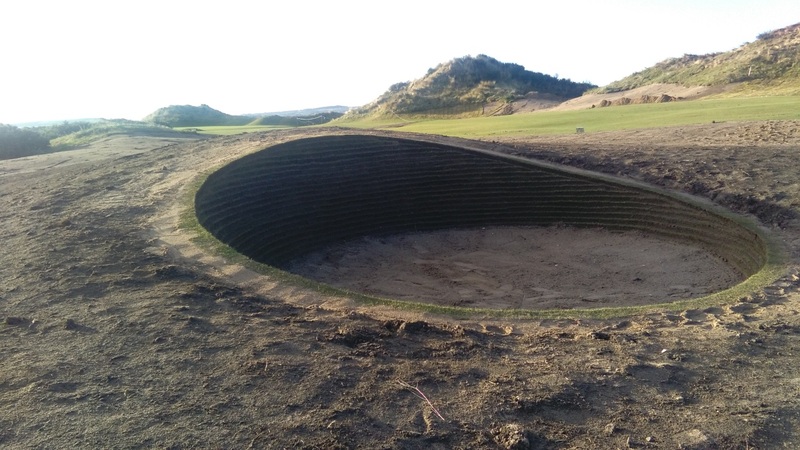 Most of the shaping work to 15 is complete and one of the two bunkers has been built to a fantastic standard by Course Supervisor, Phil Hind and his team. 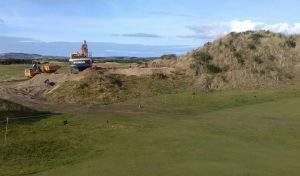 Over the coming days we’ll be concentrating on completing the new bunker alterations on the 4th fairway. Once the work is complete there will be a bedding in period and we expect the new areas to be fully back in play by early next year.